The blink program uses the LED (light-emitting diode) built into the Maker Board to flash on and off. You can make noise with some simple code! Get started with this program and move on to more complex sound effects and songs. We've inserted some errors into the "Blink" code. Can you find them and fix them using the computer's error messages? Get interactive with a button press. Combine a button with an LED for a basic project that you can turn into something so much more. With the click of button, activate your LED. Another click to turn it off. Can you add more LEDs to this project? Use a button to set the color of a red-green-blue (RGB) LED. 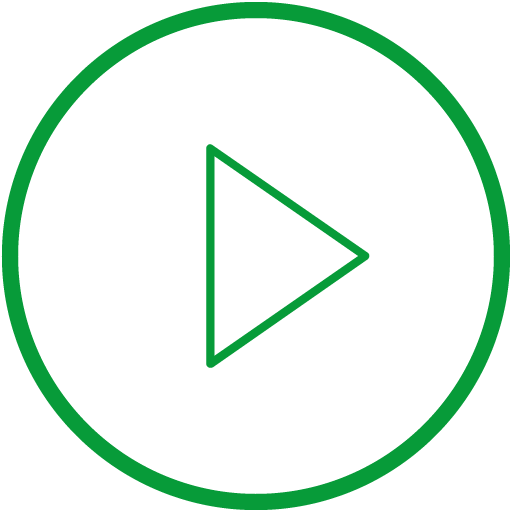 Hold the button to strobe or modify code to create color combinations. Combine four buttons and a speaker to create your own customizable piano. Then modify the code for new notes and combos. Create a light and sound party by synchronizing an LED with a four note piano. We've inserted some errors into the "Four Note Piano with Synchronized LED" code. Can you find them and fix them using the computer's error messages? Create a siren that changes with a button. Modify code to alter speed and pitch. Fade an LED light using a button. Experiment with code to change the speed. Using for loops, create a siren that rises and falls automatically with code! Automatically fade an LED light up and down with your own computer program. Write code that lets you mix three colors together to create hundreds of cool combos. "Roll" a digital dice using an LED light and some computer code! Learn about programming a computer to make random decisions for you and create a fun tool. Use loops, functions, and variables to create all kinds of cool sounds with just a speaker and a button. Then think up new ways to use code for all kinds of noises. Let's Start Coding teaches coding to kids using electronic kits, real code examples and step-by-step guides. It's easier to learn by taking something apart than starting from scratch. That's why we created hundreds of lines of example code to help you. 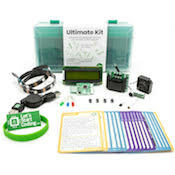 Our Base Coding Kit is the best place to start for beginners. Our step-by-step lessons illustrate code concepts with fun projects that will actually teach programming to kids. We'll guide you through the process of setting up your computer to code online. 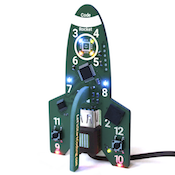 Each project challenges the student to move beyond coding toys and start coding software. Watch a short video explaining the different pages of a program and how you can modify real code. Start exploring! 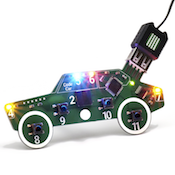 Choose the component you want to tinker with - LED lights, sensors, maker screen, and jump in! Part of learning to code is to simply dig into the electronics, hardware and programming language. But, we know that kids learning to code can get frustrated easily. That's where we come in. If you are stuck and don't know what to do next, let us know. We'll come to the rescue!